If you have been arrested for a drug possession offense in Michigan, whether it’s the simple possession of marijuana, possession of analogues (meaning drugs like Vicodin and Xanax), or other controlled substances, including things like cocaine, ecstasy and heroin, a lot goes through your mind. Of course, you’re undoubtedly filled with regret (certainly regret at being caught), but chances are, the reality of a possible drug offense on your record also has you worried. 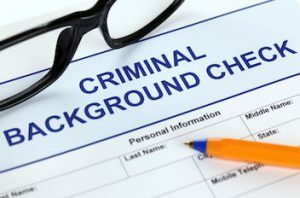 The point of this article is to reassure the reader – whether you’re the person facing the charge, or you’re researching for your child, partner, or someone close to you – that in most cases, many, if not all, of the negative consequences, including a drug conviction on your/their criminal record, can be avoided. As of this writing in July of 2016, possession of marijuana (spelled marihuana in the law book) still violates state law except with a medical marijuana card. Certain municipalities have either de-criminalized or even legalized possession of small amounts of marijuana, but chances are, if you’re reading this, it’s because you were pulled over and found to have some in a jurisdiction where it is still illegal. I point this out because the attitude of some people regarding marijuana is a bit ahead of the law. For all the argument and analysis about how things should be, or likely will be down the road, the fact is that if you are found to be in possession of marijuana in most places, you will face a misdemeanor drug crime, and like all other possession charges, that subjects you to suspension of your driver’s license, making it all the more important to avoid such penalties by keeping the whole thing off of your record. To keep this article short, I’ll skip the in-depth analysis of the “legal maneuvers” required to keep a possession charge off of your record. In the real world, there are generally 2 ways this is done: For those who are under 24 years of age (in other words, the day of the arrest or citation must be before the person’s 24th birthday), a conviction can be avoided by what is called “HYTA” (pronounced “hi-ta” and formally known as the “Holmes Youthful Trainee Act.” Until recently it only applied before a person’s 21st birthday, but that has changed. ), or what is commonly referred to as 7411 (said like “74-11” and referring to the actual Michigan Compiled Law –MCL 333.7411). Let’s repeat that more simply; drug possession charges are kept off of a person’s record by either using “HYTA” or “7411.” Unfortunately, in the real world, cases are often a bit more complicated, like when a person charged with possession of marijuana is also charged with possession of paraphernalia, or a DUI offense, as well. For anyone over 24, there is no HYTA available, and a conviction for possession of paraphernalia cannot be deferred under section 7411. This means that the lawyer will often have to do some creative negotiating to keep your record clean. No matter how you cut it, the bottom line is that you hire a lawyer to make things better, and in the world of drug possession and related charges, that means, first and foremost, keeping everything off of your record. I could fill this article by going on about many of the numerous ways a conviction for a drug charge is a bad thing, but the reader already knows that. Seriously, like it’s ever a good thing? The one aspect of a drug conviction that often gets overlooked, however, and I think is critically important, concerns a person’s driving record. In Michigan, drug crimes go on the driving record as well as a person’s criminal record. In addition, and this is the part I think is most important, a first conviction for possession of drugs (any drugs) in Michigan requires that a person’s driver’s license be suspended for 6 months. After 30 days, the court can order a restricted license, but amongst the various courts, this is handled differently. In some jurisdictions, a Judge will require that a person file a formal motion for restricted driving privileges and set the matter for a hearing before any decision is made; other courts, by contrast, will order that the restricted license automatically begin after 30 days of no-driving, while any number may have different requirements that aren’t as simple as “automatic,” but don’t necessarily require all the legal work involved in a motion and hearing, either. If there’s a point I’m trying to make here, it’s that avoiding all this confusing and often expensive rigmarole in the first place is much better than having to muddle through it later on. Keeping a possession of drug conviction off of your record does just that. Sometimes, a possession charge is one of several charges. Most of the cases I see involve someone being pulled over for some reason. It is not uncommon for a possession charge to accompany something like a DUI or a DWLS (suspended/revoked license) charge. The presence of other charges does not usually present a problem to keep the drug charge off a person’s record, unless that accompanying charge is something horrendous, like a crime of violence. For the kind of person who takes the time to read blog articles and worries about the implications of a conviction on his or her record, and even if that person has a prior record for something minor, like DUI or suspended license, a prior record typical to them isn’t usually much of an impediment to avoiding a conviction here, either. Although this article has deliberately avoided being overly analytical, you must also think about a drug possession charge from the Judge’s point of view. Indeed, it’s foolish to not do that, given that the Judge is going to be the one deciding what happens to you. Let’s first consider marijuana, because there’s really not much public sentiment that thinks doing stuff like cocaine, heroin, or otherwise getting high on Vicodin or Xanax is a good idea. Even though marijuana is not considered a “hard” drug, I’ve never met a single Judge in favor of smoking dope. I have some rather educated clients, but none of them feels particularly intellectual when they’re standing in court after being caught, usually in a car, with weed. There may be medical marijuana, but it’s never prescribed to make anyone sharper. The point here is that, just like the Police, Judges just don’t ever see marijuana in a favorable setting. And it’s illegal. It may be less dangerous than alcohol in a million ways, but it still carries the stigma of an illegal drug. When I handle driver’s license restoration hearings, every person is asked if they’ve ever used any illegal drugs; this includes marijuana. When you’re facing a charge for possession of it, you can bet it’s not the time to start preaching about its legal status. Even if it’s legalized tomorrow, everyone who has been convicted of possession of marijuana in the past will still have a drug conviction on their record. That doesn’t look good in any setting where your record is being examined. Whether it’s marijuana or any other drug, you need to navigate your way through the court system carefully. You want to make sure you keep the conviction off of your record, and you also want to avoid being labeled as someone with a drug problem, if possible. Just about everyone caught with heroin has a problem, and, in the history of the court system, no one charged with possession of it has ever been seen as a “casual user.” You got heroin – you got a problem. Kids can screw around with ecstasy and weed. Cocaine can also be an experimental thing, but it can also be a drug used habitually, and substances like Vicodin and Xanax are known to be habit forming. When someone needs help because their relationship to drugs has become troubled, then it’s important that they get the right kind of help. Here, I bring a bit more to the table than the average lawyer, having completed a post-graduate program of addiction studies. This enables me to protect my client from the court systems kind of built in bias toward treatment “overkill” by helping my clients avoid unnecessary counseling and treatment – very real risks in a court system that feels compelled to “fix” everything. While staying out of jail is easy, if not automatic, getting all tangled up in things like unnecessary counseling and treatment is not. As much as no one wants a drug conviction on his or her record, nobody wants to run headlong into demanding, difficult and expensive treatment, either. And for those who do need some help, nothing says it better that the old AA warning: Easy does it. Help is often best provided in moderation. As is becoming clear, it’s hard to limit the scope of any discussion about drug cases. To circle back to the original premise of this article, the idea is to keep a drug charge off of your record. If you, or someone you care about is facing a drug charge, look for a lawyer the way you’d look for a major appliance. Do your research. Read what lawyers have written on their blogs and websites like mine. When you’ve narrowed down your choices, pick up the phone and call around. If the case that concerns you is anywhere in Macomb, Oakland or Wayne County, call my office, as well. We do all of the consultation stuff over the phone, right when you call. You can find us standing by, ready to help, Monday through Friday, from 8:30 a.m. until 5:00 p.m., at 586-465-1980.